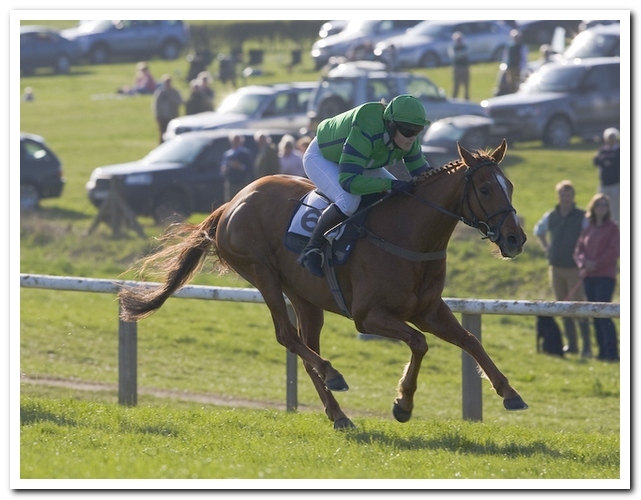 Perfect ground conditions, quality racing and a good sized crowd of spectators were the order of the day when the Quorn Hunt got their annual Point to Point meeting under way at Garthorpe yesterday. 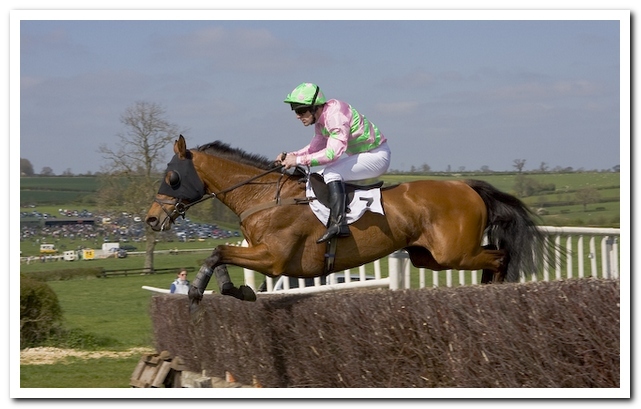 This meeting being the third of five, due to be held this season on this popular Leicestershire racecourse. 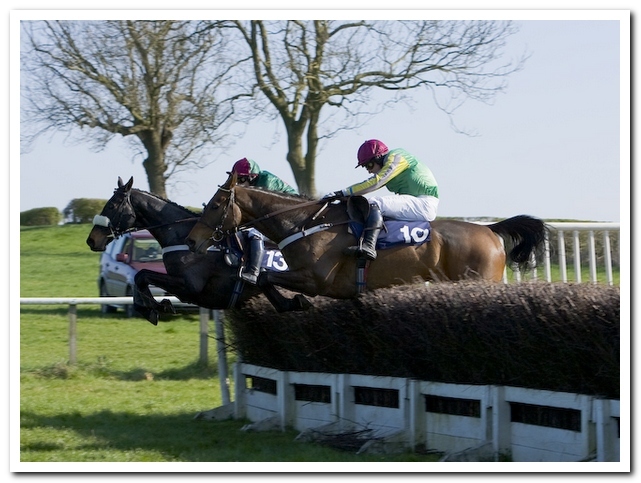 The Quorn Hunt Members, Subscribers & Farmers Race, was the first race up, with a total of five horses going to post. The race was kindly sponsored by Mr & Mrs Harold Morton. 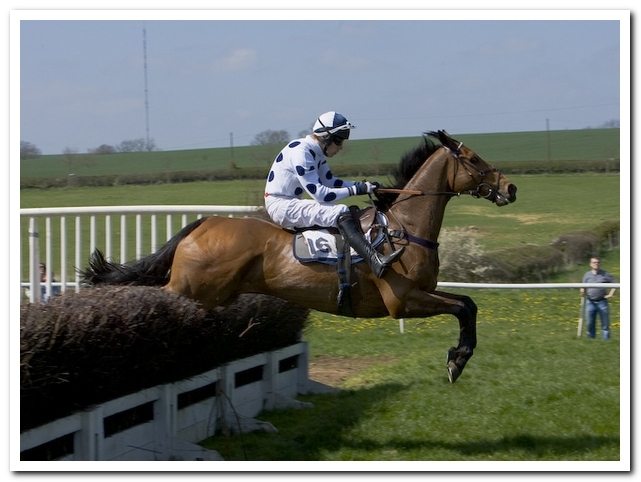 This was won by the well supported six year old, Thenford Ryde, ridden by Richard Armson. The pair never looked in any danger, winning by a good margin from Toms Party and the third placed, Chan Bahlum. Sponsors of Race two, The Michael Farrin Memorial Mens Open Race, were Mr & Mrs P.Hewitt & Mr & Mrs J.Bealby. Six horses were declared here and this race provided another win for young rider, Johnny Bailey. 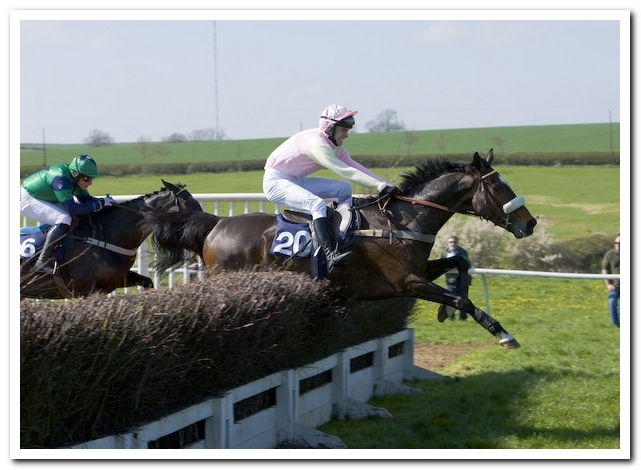 His mount, the Belvoir gelding, Picabo Kid, ran on well clear of second placed, Teeton Dazzler, with the Cottesmore eleven year old, Undeniable, a well beaton third. 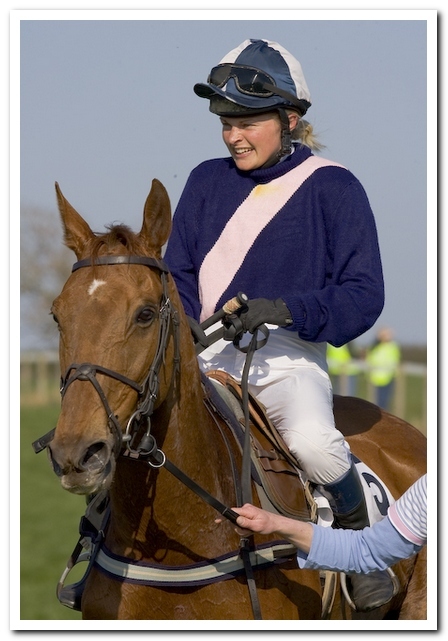 The Ladies Open Race, kindly sponsored by Robert Whowell & Partners, attracted a field of five. This race produced the closest finish of the day. Public Esteem, from the Smith-Maxwell stable having only half a length to spare from second home, Hot Lips Page, the mount of Sarah Phizacklea. The hot favourite, Bedtime Boys, ridden by Holly Campbell, finishing a close third. Race Four, The Open Maiden Race, for 4,5,6 & 7 year olds, run over 2 ½ miles was kindly sponsored by Six Hills Leisure Park. Six horses went to post here. This race went to the Middleton stable of David Easterby with the promising Wantage Road. Always up with the leading group, jockey, Tom Greenall took the seven year old to the front coming to the final fence and won quite cleverly by three parts of a length from Rockfield, with Castleconner Lad taking third. Prestwold Hall, near Loughborough, were sponsors for the fifth race, The Restricted Race and eight were declared to run. This produced the second leg of a double for Johnny Bailey. 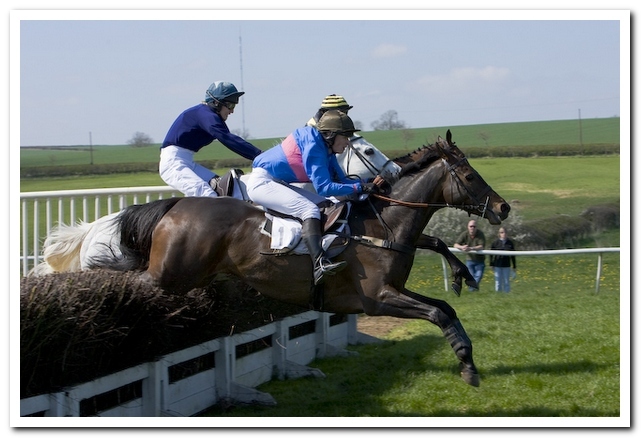 His mount, Morning Moment, trained on the Northants border by his father Gerald, raced into the lead before the second last fence and won well from Henry Beauclerc, with outsider, Return Fire, taking third place. The sixth and final race of the day saw a field of eleven horses go to post. This race, The Open Maiden Race, was kindly sponsored by William Hercock. This also produced a double for the Easterby stable and jockey, Tom Greenall. His mount, Snake Rave had too much pace for this field and Greenall was always holding second placed Newnham Rambo, the early leader, with Essennbee holding on to third spot. After the meeting, two Charity Flat races took place and these were sponsored by Fisher German, the Chartered Surveyors. 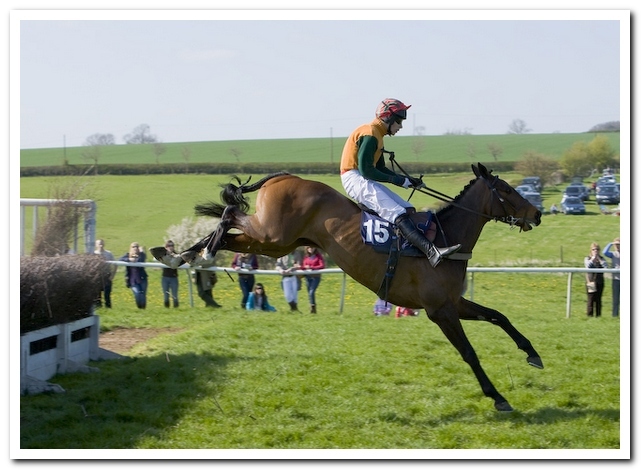 Next Midlands Area meeting to take place will be the Atherstone Hunt Point to Point, scheduled for Sunday 26th April, at Clifton-on-Dunsmore, 2 miles east of Rugby.